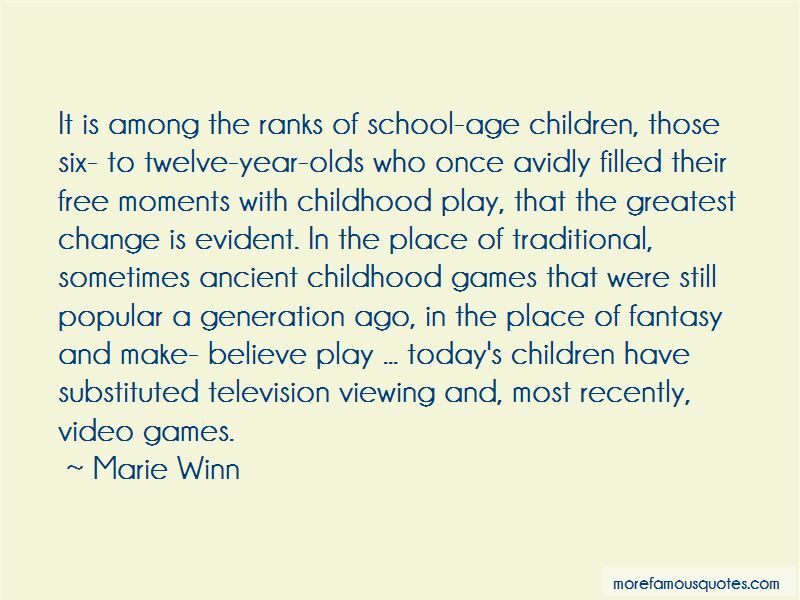 Enjoy the top 10 famous quotes, sayings and quotations by Marie Winn. 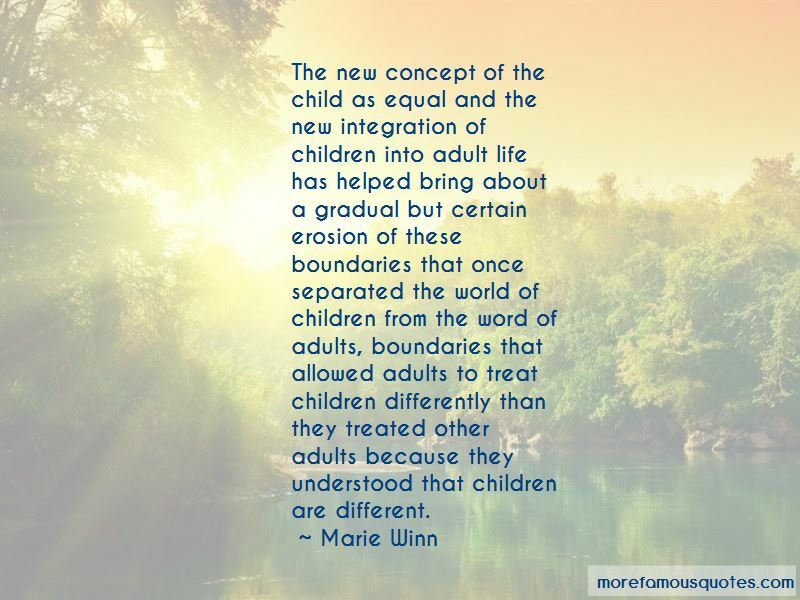 The new concept of the child as equal and the new integration of children into adult life has helped bring about a gradual but certain erosion of these boundaries that once separated the world of children from the word of adults, boundaries that allowed adults to treat children differently than they treated other adults because they understood that children are different. A decline in supervision is not the entire story. Even in the fifties there were undersupervised children ... who nevertheless did not become pregnant at thirteen ... and who did not smoke anything stronger than an occasional Camel or Lucky Strike ... It took a combination of unsupervised children and a permissive, highly charged sexual atmosphere and an influx of easily acquired drugs and the wherewithal to buy them to bring about precocious experimentation by young and younger children. This occurred in the mid-seventies. The upshot of pervasive public belief in the uncontrollable sexuality of teenagers, and even of pre-teenagers, is that parents arehalf-hearted in their efforts to supervise and control their children, even when they are filled with anxiety as to their children's ability to cope with a full-fledged sexual relationship. "How can we buck the tide?" parents say helplessly, often without making quite certain that the ocean they see is a real one and not a mirage. A disturbing possibility exists that the television experience has not merely blurred the distinctions between the real and the unreal for steady viewers, but that by doing so it has dulled their sensitivities to real events. For when the reality of a situation is diminished, people are able to react to it less emotionally, more as spectators. 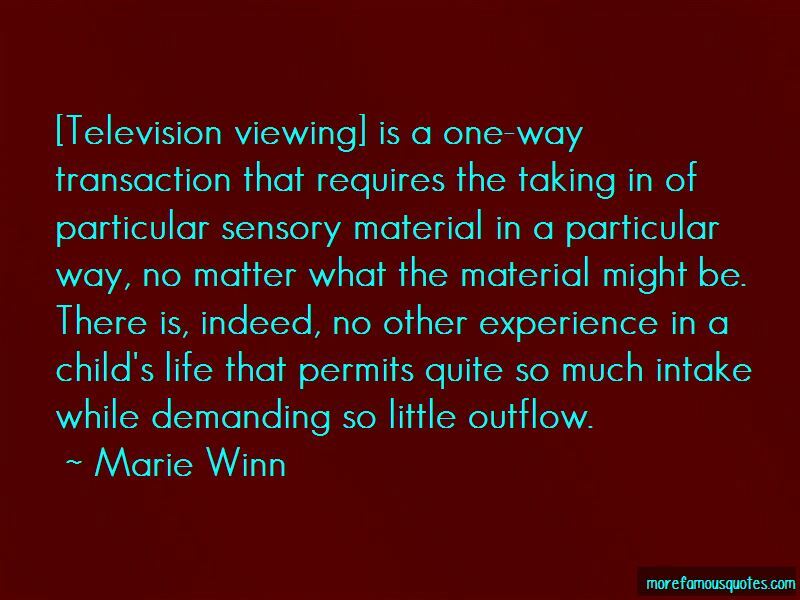 Want to see more pictures of Marie Winn quotes? 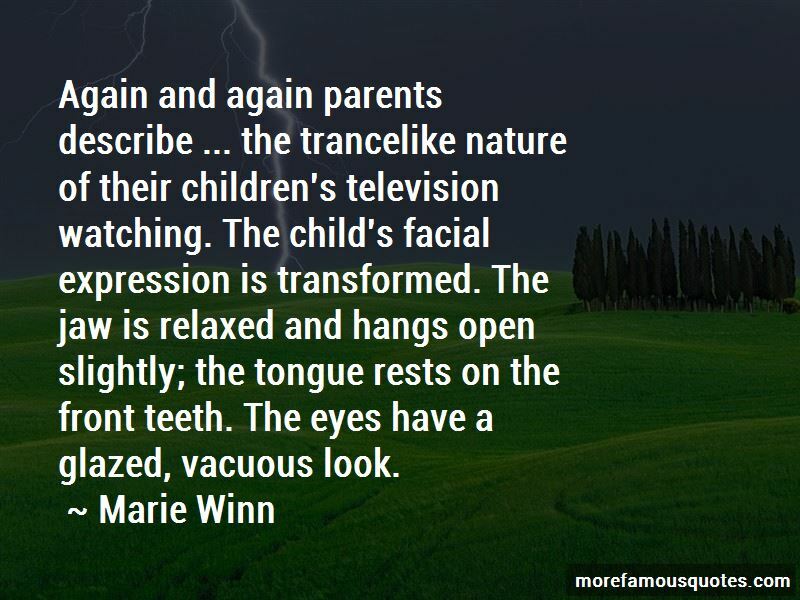 Click on image of Marie Winn quotes to view full size.